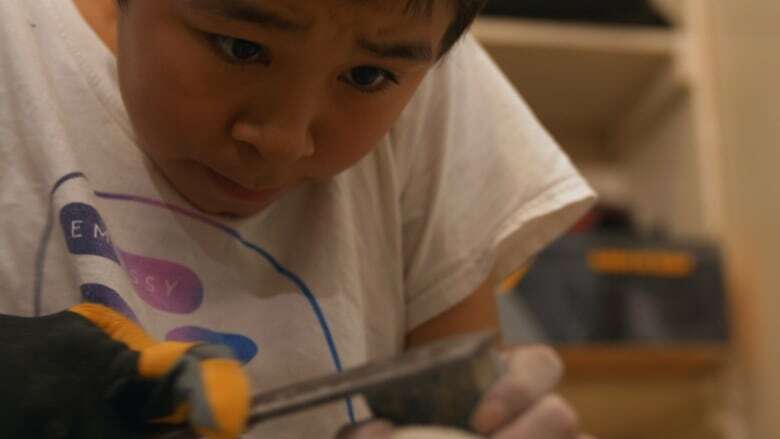 The young artist shares his love of creating and tells us about carving an inukshuk out of Nunavut's serpentine rock. David Pudlat remembers that when he was six or seven years old, he drew a man trying to catch a seal. Somebody told him the drawing was good, and that was what gave him the confidence to pursue art. Pudlat has now had some of his own experiences selling his carvings to the Co-Op. 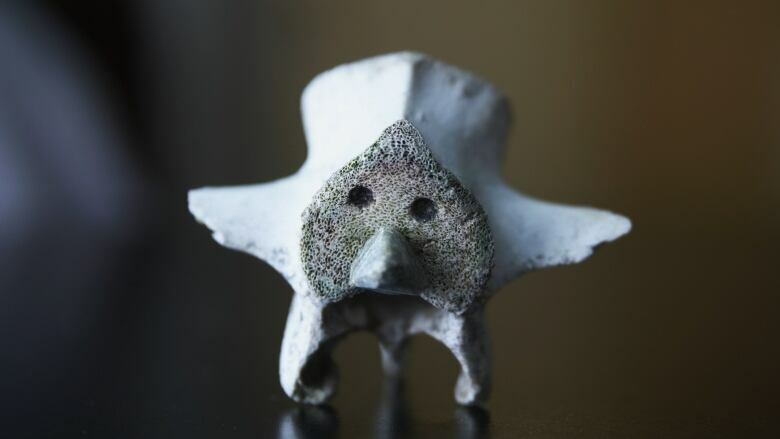 Of his first two sales, small bone sculptures, he says, "I was nervous — I was thinking, am [I] too young to sell things at the Co-Op?...It made me want to make more." The Co-Op is also a source for carvers to buy one of their most important materials, serpentine rock. 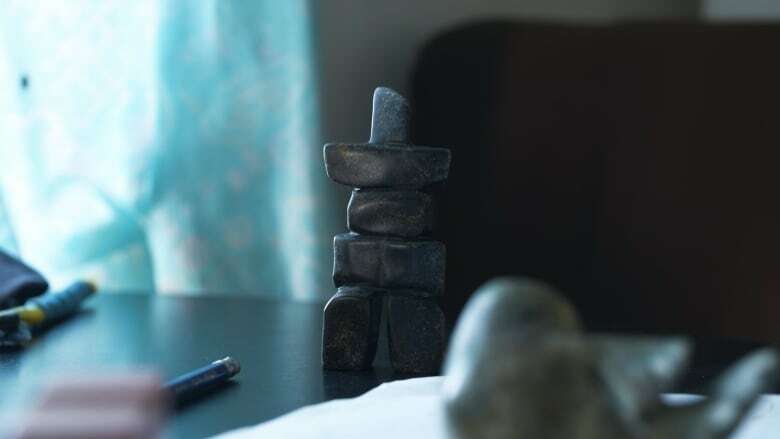 In this video, Pudlat takes us through the process of searching for the perfect rock to carve into a sculpture that means a lot to him: the inukshuk, a small artwork that Pudlat says "represents Nunavut." Right now Pudlat is in grade 8, but he's currently attending Sam Pudlat Elementary School with the rest of his classmates, as a result of the devastating fire that burned down Peter Pitseolak High School in Cape Dorset. 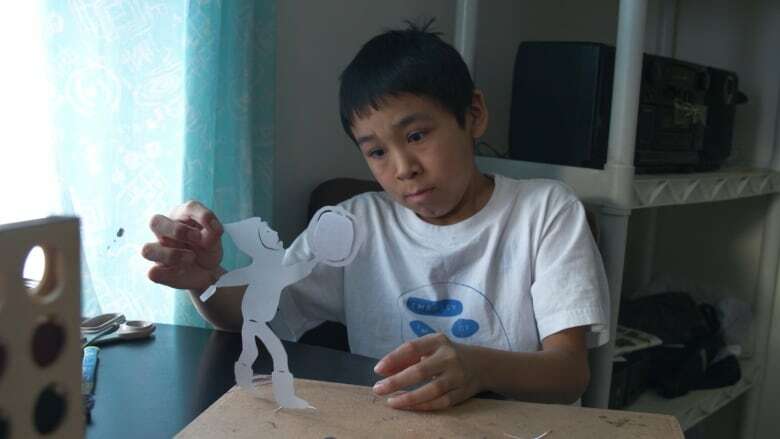 For his next project, he hopes to carve a dancing inukshuk — something he has never seen done before. 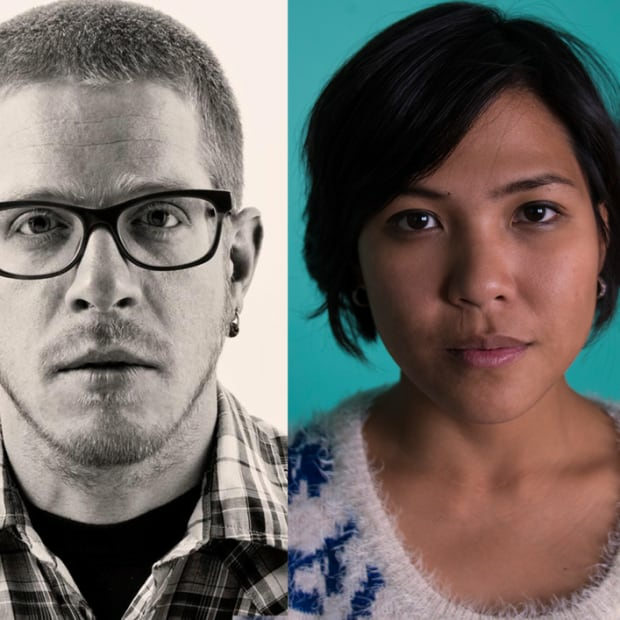 Very special thanks to Ron Ross and Sam Pudlat Elementary School, William Huffman at Dorset Fine Arts and Alexa Hatanaka and Patrick Thompson of Embassy of Imagination. Art Kids is a series that travels the country to find the next generation of groundbreaking creators in arts from painting, to dance, to poetry. Their accomplishments will amaze you — and might make you feel a little bad about yourself. But that's okay.